Ras Dejen (alternatively Ras Dashan Ge’ez ራስ ደጀን rās dejen or ራስ ዳሸን rās dashen, Amharic “head guard”) is the highest mountain in Ethiopia and tenth highest mountain of Africa. Part of Simien Mountains National Park located in the Gondar, Amhara Region, it reaches an elevation of 4,550 metres (14,928 ft). The more common form, “Ras Dashen” is a corruption of its Amharic name, “Ras Dejen”, used by the system of the Ethiopian Mapping Authority (EMA) which means “the general who fights in front of the Emperor”. Today you trek around 6 hours to Gich Camp through farmed areas and the village of Gich. You may spot the endemic Gelada Monkeys, Klipspringers (a small mountain antelope), Menelik Bushbacks and many interesting plants. You will also see the Jinbar waterfalls which flow over a 500 metre cliff. Gich camp lies on a plateau at an altitude of 3600m. Using Gich camp as your base, you will walk up to the summit of Imetgogo (3926m), a high rocky outcrop on the edge of the escarpment to the east of the camp, with spectacular views north and east across the foothills and plains. You will walk through fields of the endemic Giant Lobelia plants. You will walk back via Saha to see the other side of Imetgogo. You are likely to see Klipspringers, Walia Ibex (a wild goat, endemic to the Simiens), and many spectacular birds including the Lammergeyer. Total trekking time is around 5 hours giving time fr a relaxing afternoon. Today’s trek to Chennek offers some of the most spectacular views of the whole trek. After a 3-4 hour morning trek you will have your lunchbreak at the head of the Inateyvalley (4070m) before continuing along of the Belegez valley to Chennek camp.From Chennek you can see over the escarpment edge and across the foothills. This is a good place to spot Walia Ibex and more Gelada monkeys. Total trekking time for the day is 8-9 hours. Today’s route to Ambiko from Chennek takesyou up onto Bwahit’s northern shoulder, Ethiopia’s second highest mountain at 4430m. Coming down from Bwahit you go through the mountain town of Chiroleba, which feels very busy after the last few days in the mountains. You then cross the Mesheha river before a gentle climb to the Ambiko campsite which is situated next to the village church. 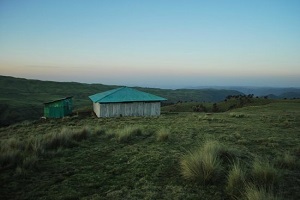 Ambiko is at 3200m and total trekking time is 10-11 hours. Today you climb Ras Dejen. It is an early start before sunrise, initially heading out of the valley before starting the real climb. Before reaching the peak you enter a semi circular basin of rocky peaks, with the highest being Ras Dejen at 4543m. The last part of the climb is a scramble but you are rewarded with fine views from the top. You spend the rest of the day hiking back to Ambiko camp. Total walking time is approx. 11-14 hours. Today’s trek to Sona initially takes you back to the river, then follows the valley uphill. Later on in the day you will pass through cultivated fields ad mountain hamlets today takes you to Sona. From Sona there are good view back onto the high peaks of the Simiens, total trekking time is approximately 10 hours. Today’s trek involves an overall descent of 1200m. The initial section is a steep downhill to the river, followed by an undulating path that follows the valley. You will have your lunchbreak by the river in the shade of an enormous fig tree, where you will have the chance to buy some local handicrafts and drink coffee from the locals. You will camp at Mekarbiya next to the local school which you can visit if you wish. The day’s trek takes around 5 hours, and the campsite is at 2065m. Today you walk to Mulit camp (2100m) and past a beautiful cool lagoon. After lunch there is a steep relatively short climb, which is often hot, but at the top there is a local cafe with refreshments. Total trekking time is 4-5 hours. As tonight is the last night and we are out of the national park, we can have a little party with singing and dancing – both Ethiopian and any contributions that you may have. There will also be the chance to try the local drink of ‘tella’ – fermented barley. 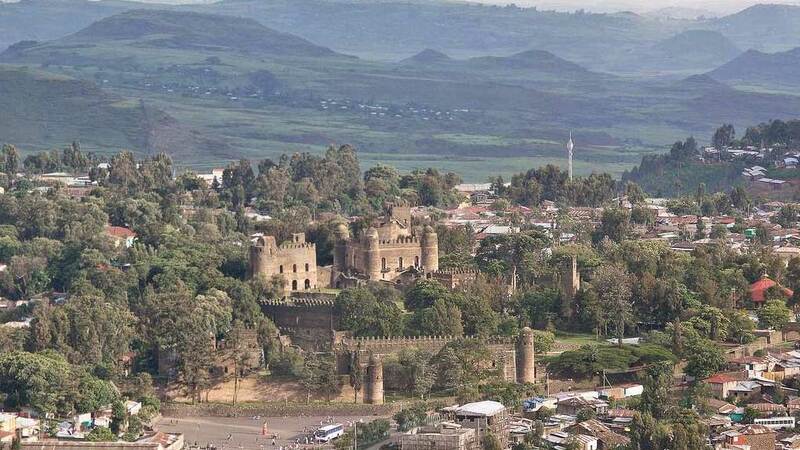 flay back to addis Ababa and shopping traditional diner at habesha 2000 then transfer to your home . Tour code- TA/BT/005 12 Days 13 Night Tour Ras Dejen (alternatively Ras Dashan Ge'ez ራስ ደጀን rās dejen or ራስ ዳሸን rās dashen, Amharic "head guard") is the highest mountain in Ethiopia and tenth highest mountain of Africa. Part of Simien Mountains National Park located in the Gondar, Amhara Region, it reaches an elevation of 4,550 metres (14,928 ft). The more common form, "Ras Dashen" is a corruption of its Amharic name, "Ras Dejen", used by the system of the Ethiopian Mapping Authority (EMA) which means "the general who fights in front of the Emperor".